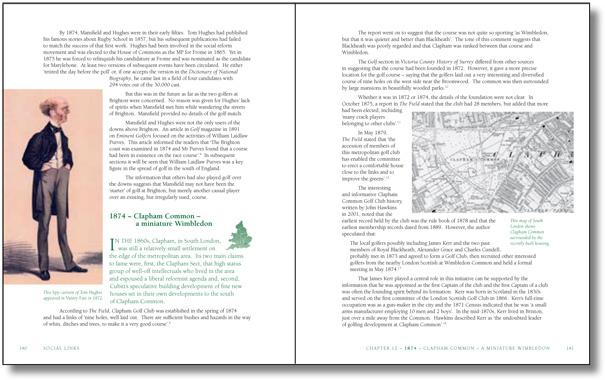 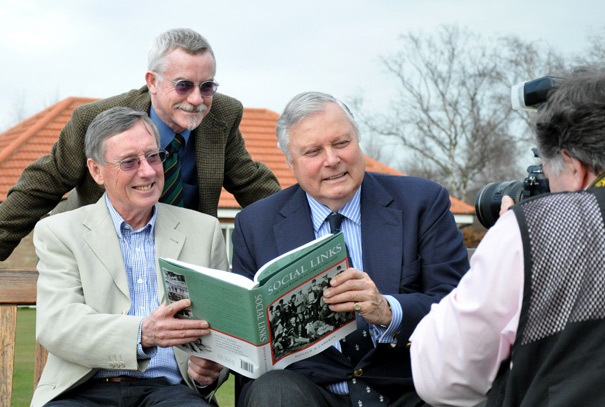 I’m just back from Cambridge where Peter Alliss made a guest appearance at Gog Magog Golf Club to launch Social Links, my latest book design project. 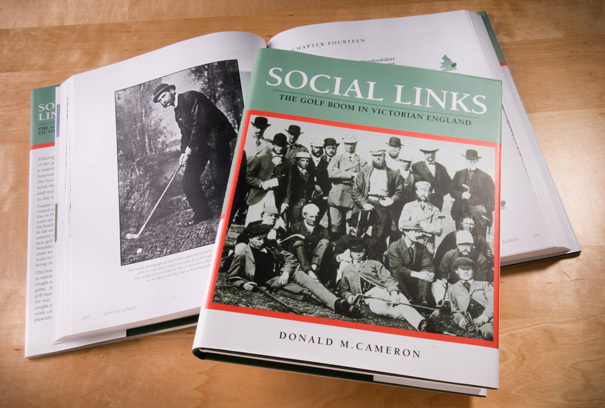 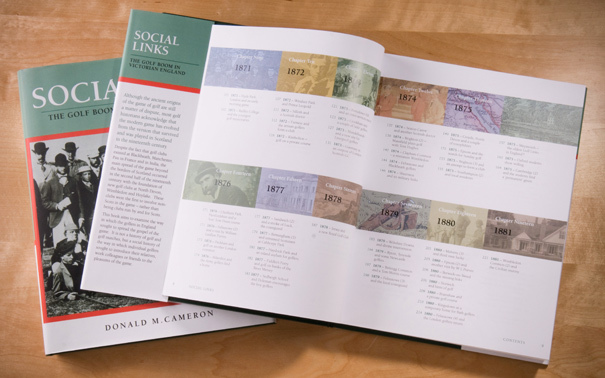 Written by Donald Cameron, it’s a social history that charts the origin, spread and development of golf in Victorian England. 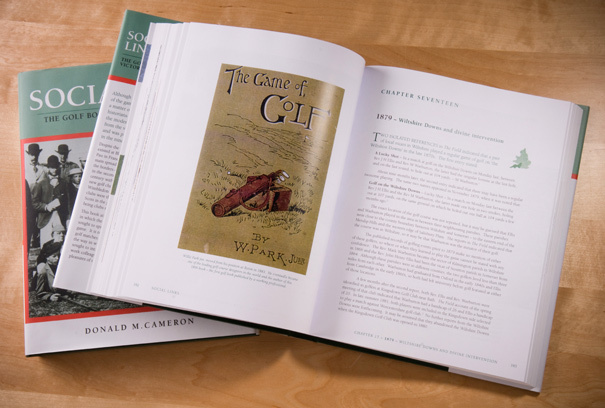 We produced two versions – a full leather edition of 50 and a hardback edition of 450 with a dustjacket, as shown in these photos. 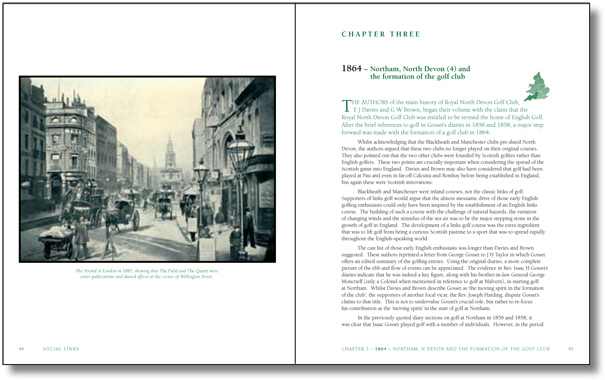 These received an enthusiastic reception and initial sales were good. 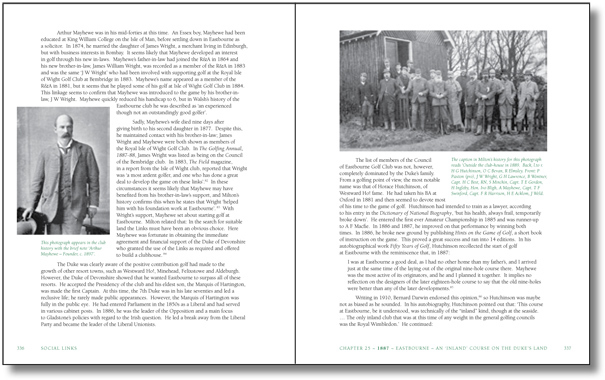 Donald presented Peter with a leather-bound edition to mark the occasion.